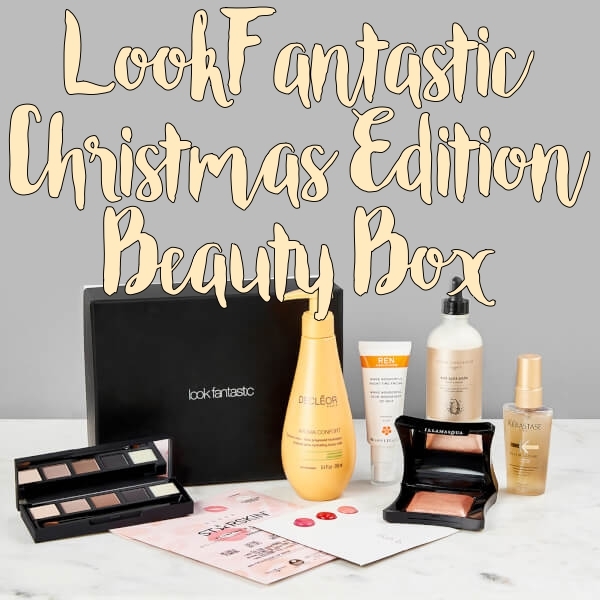 For Christmas 2016, LookFantastic has come up with a limited edition beauty box containing eight products worth more than £160. The box ships worldwide and costs just £40. The release date is December 13, but you can pre-order one rightaway so you don't miss out. These make fabulous presents, and great treats for yourself. Scroll down for more on the LookFantastic Limited Edition Christmas Beauty Box. I can't believe there are so many products in a box that costs just £40 - the Grow Gorgeous End Split Ends and the Decleor Body Milk ALONE cost £19 and £25 respectively, coming to more than the cost of the whole box. I also love that there are so many makeup options in this box. To pre-order a box, go here rightaway - these should sell out pretty much as soon as they go on sale, so I highly recommend preordering early. You can either keep the whole thing for yourself or give it all as a present to one lucky person, or you can split up the contents as much-appreciated stocking stuffers. LookFantastic ships worldwide.